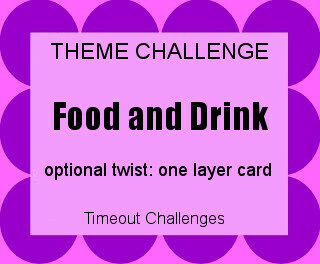 I am super excited to be a guest designer at Time Out Challenges today. I was lucky enough to be chosen during the previous challenge and it really is an honor! I used the Birch Press Kessa-Arch layering dies to make the panel on my card. I cut all three layers from white card stock and colored the bottom two to coordinate with my stamped images. The stamp and die set I used for my focal point is from Sunny Studio Stamps and is called Tropical Paradise. Thanks for stopping by today. I post a new project daily, so feel free to come back any time! This is wonderful, festive, and fabulous, Susie. I love the way you layered the color in the lace, and the way you tucked a couple of sequins behind the die cuts. Such great details. Your coloring is fabulous and the tsamps and dies you chose are so perfect for the inspiration. So glad you are with us as Guest Designer! What an adorable scene. Looks like a festive party table for a summer soiree. Thanks so much for being our Guest Designer at Time Out. That's a very interesting die and I love your idea to color-match the bottom layers to your colored-in image. 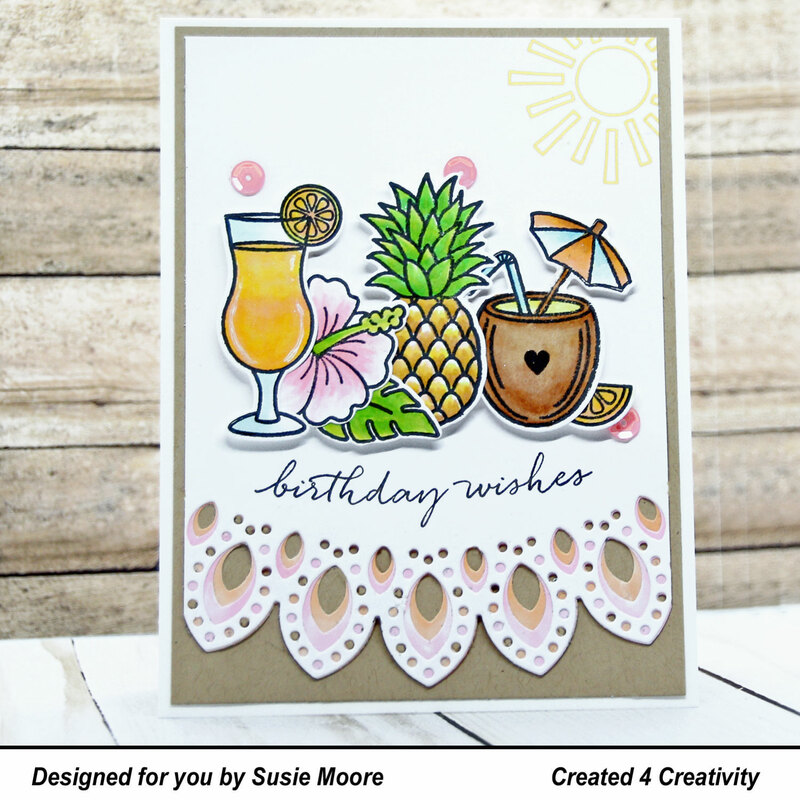 Love the tropical, summery feel of this card! Thanks for being such an inspiring GD at Time Out! What an absolutely gorgeous tropical scene - The extra touch of the layered border dies as a tablecloth is genius! Thanks so much for sharing such wonderful inspiration with us as our GD at Time Out!